Jose Mourinho will return to beIN SPORTS, the leading global sports broadcaster, once again next week for a special 30-minute exclusive interview about his time as a manager of Europe’s top teams, which viewers across Europe, North America, Asia, Australia, and the Middle East and North Africa (MENA) can enjoy exclusively on the premium sports channel. Widely acknowledged as one of the most successful managers of all time, the ‘Special 1, Special Memories’ programme will explore Mourinho’s rich history in football, as well as discussing topics such as Arsene Wenger’s legacy to English football; the future of Kylian Mbappe; what Italian football requires to dominate Europe once again; and the 2022 FIFA World Cup Qatar. The former Real Madrid, Manchester United, Chelsea, Inter Milan and Porto manager will be interviewed by beIN star presenter, Hichem ben Ali Al Khalsi. ‘Special 1, Special Memories’ will air exclusively on beIN SPORTS across the world on Monday 18 March 2019, at 22:00 Mecca Time (GMT +3) on beIN SPORTS HD 1 and beIN SPORTS HD 11. 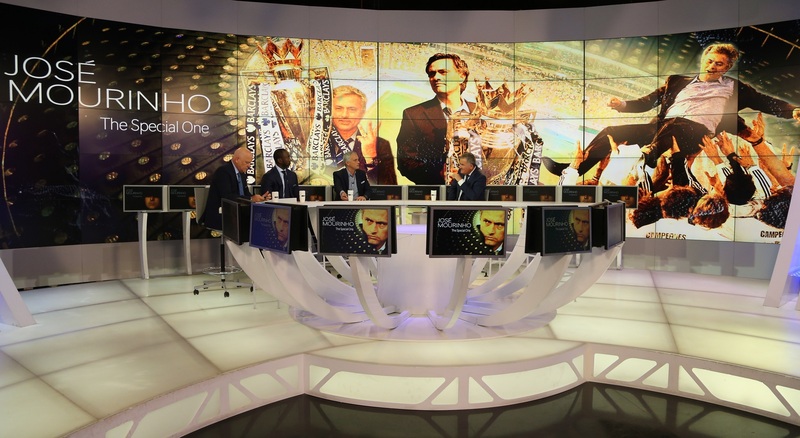 Mourinho’s last appearance on beIN SPORTS drew huge audiences across the Middle East and North Africa region, and also internationally on social media, as fans tuned-in to see the serial winner join a panel of expert analysts during the El Clasico fixture on 2nd March and English Premier League matches on 3rd March. However, Monday’s special programme will be a one-on-one interview with Mourinho, with the former manager discussing: his ‘special’ nickname, the UEFA Champions League, Real Madrid, his best ever season in football, Qatar 2022, Qatar’s AFC Asian Cup performance, the Premier League and much more. For more information about beIN’s sports and entertainment schedule, visit www.bein.net/en/tv-guide.